Hetheringtons is a well-respected network of estate agents in Essex and Hertfordshire, specialising in the sale of exclusive homes in town, village and rural locations. From luxury apartments and country cottages, to executive houses and country estates, we are dedicated to making your property dreams a reality. As such we are constantly looking for ways to make it as easy as possible for customers to find their dream home. The latest innovation is the new Hetheringtons Property App. With 100s of properties for sale and to rent on our website, the natural progression is to allow our customers to browse these properties wherever they are, whenever they like. With the Hetheringtons iPhone App, you can search for properties, and get in touch with your local estate or lettings agent direct from your iPhone. 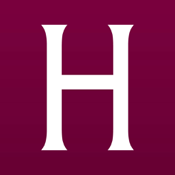 Download the free Hetheringtons App today, and start hunting for your ideal property in the ideal location.